Hurricane insurance cost is nothing compared to the price you will be required to pay if your home or business is destroyed in a catastrophic storm, and while hurricane insurance rates can vary greatly from region to region, Five Brothers Insurance can help you choose the policies that are right for you. Your total hurricane insurance cost will depend on whether you opt for a flood insurance policy, a windstorm insurance policy or both. Standard homeowners insurance policies do not cover flood damages, so a separate flood insurance policy will be necessary to cover any flood costs. 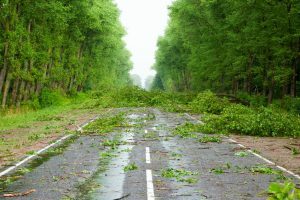 For wind damage, there are some homeowners policies that will cover the damage, but even in those instances, there is often a separate hurricane deductible required that will equal approximately 3-5% of the damage. When damage is often in the tens or hundreds of thousands of dollars, the deductible is often far more costly than the standard premium rates for insurance policies that would keep you protected. Let the insurance experts at Five Brothers Insurance help you protect your home and business. We are a full-service, independent insurance agency that has been serving the insurance needs of Florida home and business owners for generations. We have the skill, knowledge and expertise to provide you with best recommendations on the policies and coverages that will best meet your needs. For more information on current hurricane insurance rates or to determine the full hurricane insurance cost for your property in Tampa, Clearwater, St. Petersburg, Orlando, Altamonte Springs and elsewhere throughout Florida, contact Five Brothers Insurance today. Our experts are ready and willing to provide you quotes, recommendations and more. We look forward to serving you!